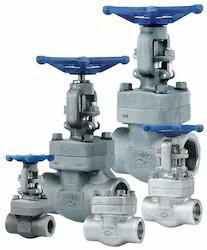 Providing you the best range of stainless steel forged fittings, forged steel valves, carbon steel forged fittings, nickel alloy forged fittings, inconel forged fittings and alloy 20 forged fittings with effective & timely delivery. 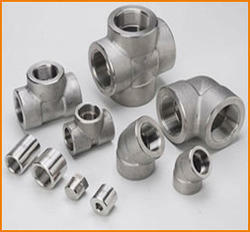 Our Stainless Steel Forged Fittings are of one of the best quality. 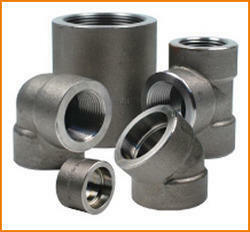 We have an exclusive range of Stainless Steel Forged Fittings which is of high exclusive quality. Stainless Steel Forged Fittings available in a spectrum of shape and sizes, our Stainless Steel Forged Fittings are manufactured using superior grade material such as stainless steel. 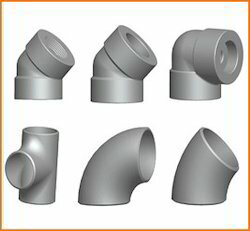 Socket weld fittings : ELBOW 90 DEG , CROSS , TEE , ELBOW 45 DEG , COUPLING , HALF COUPLING & END CAP. The Carbon Steel Forged Fittings offered by us are strictly tested by our experts on various parameters, in order to meet the quality standards. Our Carbon Steel Forged Fittings are widely used in various industrial applications. Moreover, these Carbon Steel Forged Fittings are available in different sizes and specifications as per the client’s needs. Grade : ASTM / ASME A105. ASTM / ASME A 350 LF 2 . We are manufacturing a wide range of Nickel Alloy Forged Fittings which are available to our clients in various grades. Nickel Alloy Forged Fittings are available in standard as well as customized sizes as per the requirements of our clients. We offer Inconel Forged Fittings that are widely appreciated for dimensional accuracy, corrosion resistance and optimum strength. Made using quality raw material. Our Inconel Forged Fittings can also be customized as per the specifications provided by the clients.